Just about everything these days has an all-natural form out there, doesn’t it? If you’re looking to make some serious improvements in your lifestyle, or are just looking to promote a healthier planet, then natural products are amazing. 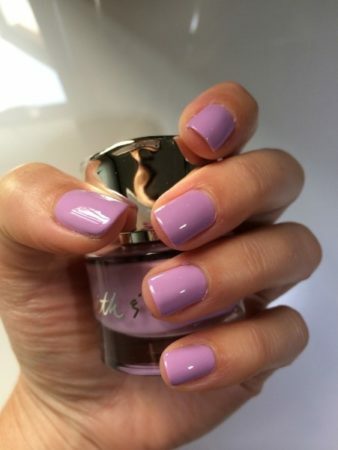 However, there is one product which we’ve always had trouble finding a natural version of: nail polish. 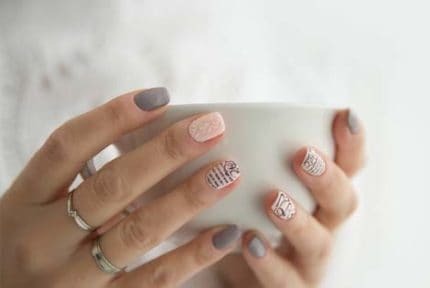 So which are the best natural nail polishes out there? Stay tuned, because we have them all for you, right here! Now that you’ve had the chance to read through each of the products at a glance, scroll down a bit further, where you’ll find some in-depth, unbiased reviews about each of the best natural nail polishes! You don’t need to go out and try to whip up an all natural homemade nail polish to get the benefits of one. It’s true! Nowadays, there are actually nail polishes which are made with your health and the health of our planet in mind. Acquarella is a brand that makes their products out of Tuscon, Arizona, which is great for two reasons: one, that you know where your product is coming from, and two, that the colors are greatly influenced by the bright colors of the desert area. The water-based polish also comes with a custom, no-odor remover, which takes away a huge annoyance for many polish users, which is the smell. While we did discover a slight alcohol scent, it isn’t strong or overwhelming in any way like the ones you’re probably used to. Unfortunately, the remover only works with their own polishes, so keep that in mind. Let’s move onto the polishes, though! The line provides us with 49 excellent color options, mixing in vivid, highly-saturated colors, neutrals, and even some translucent polishes, depending on your needs and preferences. If you are someone who is sensitive to chemicals, then you’re going to love the fact that there are no: formaldehyde or formaldehyde-like derivatives, toluene, ketones, petrochemical solvents, DBP, and much more. In fact, they don’t even include gluten! Due to their formulation, their polishes are safe for those with chemical sensitivities, and even pregnant or nursing women! Application was really smooth and easy. It doesn’t clump up, nor is it watery. In addition, it dried very quickly and evenly, and we only needed two coats to get excellent, opaque color payoff. The fact that you have to let the first application set for at least 8 hours. 8 hours is quite a bit of time, if you’re a normal person who washes their hands, takes baths, goes to the pool or beach, etc. If you do get it wet before the 8 hours, it is almost guaranteed to come off almost immediately. How long does a normal application last? We experienced flawless coverage for about two days. After that, it did begin to chip. So while this is undoubtedly a useful product, we’d recommend it more for one-day events like a wedding, more than daily use. 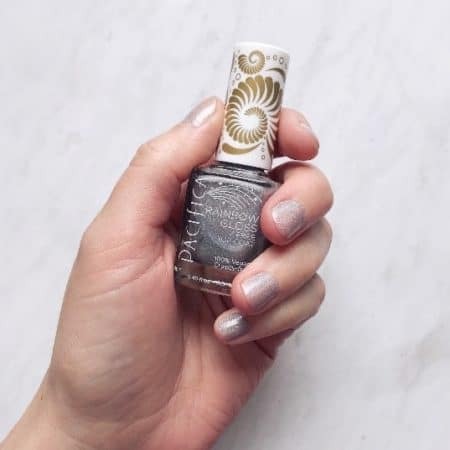 Consistently toted as one of the best natural nail polishes on the market by YouTubers and commoners, alike, we knew we had to try them. Created by Dineh Mohair, founder of the famous US cosmetic brand, Hard Candy, we knew that we were in for a treat. At first glance, we were absolutely enamored by all of the stunning colors; not to mention the names to go along with them. Each one was witty and fitting to the specific shade. The colors are super versatile, and can be used in any occasion, mood, or season you can imagine. They range from suble lilacs, to dark and vibrant reds, to gorgeous nudes. Literally any color you can imagine, you can probably find. The formula is very smooth and goes on easily. It’s not sticky, nor is it too watery. The brush is just the right size, which means that it’s not going to go all over your nail beds and fingers when trying to aim for precision. However, still large enough that you can cover a large surface area in a short amount of time. How much product is required? We only needed one coat to deliver vivid color and perfect opacity, which is perfect if you just need a quick shot of color that looks good, but doesn’t require a ton of time. It doesn’t streak, and covers completely. That’s great, but how long does one application last? On average, we saw about 5 days of wear time without any notable chipping. After 7 days was the time when we chose to take it off, but it could’ve easily lasted at least another couple days without any crazy chipping. It’s not the cheapest product out there. However, if you’re willing to splurge a bit for easy, high-quality, lasting color, then it’s definitely worth it! In addition to that, we can guarantee that the price per application is going to be comparable, if not less expensive, than the cheaper polishes out there due to how long they last and how little product you need. Oh, and on top of all of that, they’re vegan and gluten-free, and is an 8-free formula! 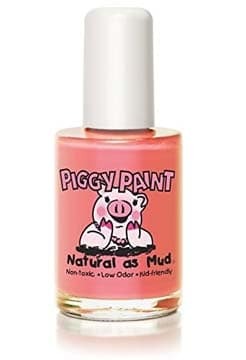 If you have kids, then you know it’s not just adults who love nail polish; kids may even love it more than we do! However, you may have a child who’s sensitive to chemicals, or just care what goes onto your children’s bodies. If that’s you, then you have to check out Piggy Paint. So, what about it makes it so great? Where do we begin? First of all, it’s non-toxic, so you don’t have to worry about the little ones accidentally ingesting it (although we still would recommend keeping them away from small children). In addition, it’s a low-odor product, so it doesn’t smell strongly of acetone or alcohol. The formula is water-based which is not only safe, but comes off easily. In fact, it doesn’t contain acetone, at all. Rather, it has the soothing Aloe Vera and Vitamin E included, which we love. For those with sensitive skin, it’s also hypoallergenic, which seems to be oddly difficult to find in a nail polish. It’s also cruelty-free, which, you can never go wrong with caring about animals, right? Oh, and if you’re pregnant or nursing, you can also wear this cute polish! Available in a variety of fun, brilliant shades, there’s sure to be something for you or your kids! Really, the only one for us, is that if you’re an adult, you may find that the colors are more geared towards children. Other than that, we loved just about everything about it! Pacifica is a brand most well-known for their unique, exotic fragrances, but they’ve also more recently come out with various makeup products. 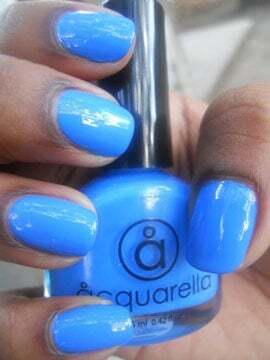 With those doing so swimmingly, we knew we had to try out their 7-Free Nail Polishes! The brand only produces cruelty-free products, and are also vegan-friendly, so it wasn’t too shocking when they revealed their polishes are 7-free (free of parabens, phthalates, toluene, xylene, camphor, formaldehyde, and resin). The bottle is quite plain itself, but does have a cute, modern square design. However, we loved the lid which is their signature seashell/beach-themed print in gold wrap-around. Let’s get back to the product, itself! The brush is a pretty good size, but may be too small or thin for some users. While this definitely allows for more accurate application, it does take longer to apply the product. The polish itself glides on very easily, and you’ll notice a very intense pigment just after a couple thin coats! How long was the dry time? It was actually a bit longer than just about every other polish we’d tried, however, that wasn’t too big of a deal. Just try to keep your hands free for a good 10 minutes or so while it really hardens. On top of all of that? It’s a wonderful budget product! 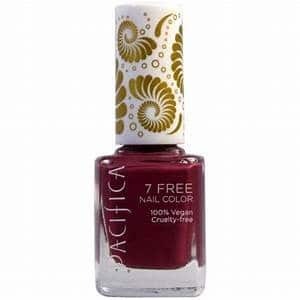 If you don’t want to spend a lot of money or are a bit hesitant in purchasing a more expensive polish that you haven’t tried before, then you have to try the Pacifica 7-Free! 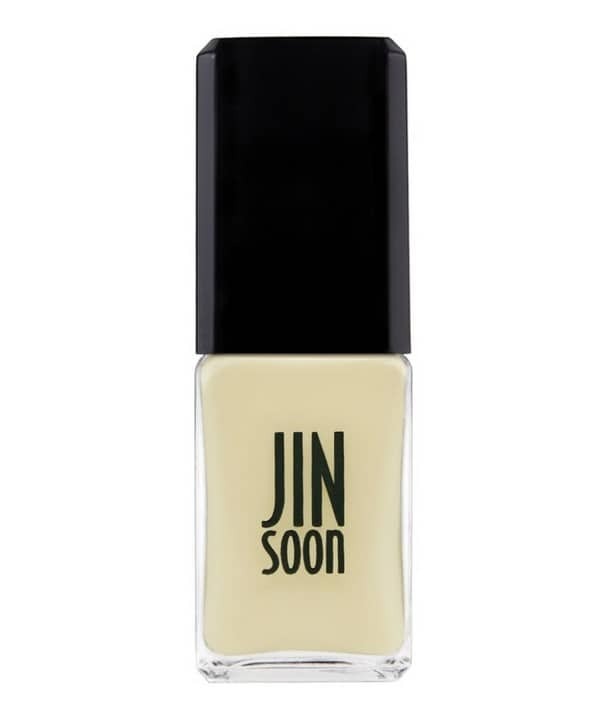 Jin Soon may or may not be a brand you’ve already heard of in the natural nail polish world, but it’s one you should pay attention to. Celebrities and those with good taste in fashion alike, are raving about the product, for many good reasons. The formula is not only in-style and stunning, it is 5-free, meaning it’s formulated without formaldehyde, toluene, DEP, formaldehyde resin, and camphor. It’s excellent for those with chemical sensitivities, as well as just anyone who pays attention to what’s going on/in their bodies. The high-gloss nail lacquer is long-lasting with a chip-proof finish, and a short drying time. If you’re in a hurry and need something quick, then this is a great option. Despite being so quick to dry, it actually provides a really solid finish that isn’t going to chip for a good week or more. Aside from the shine, we loved the various colors to choose from. 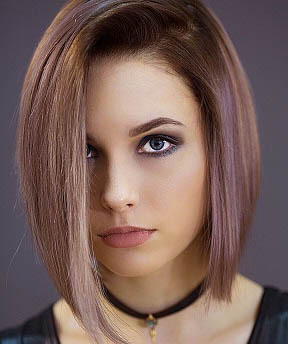 Jin Soon has some of the most unique, rare shades and colors, so if you’re looking for something really obscure to go with your outfit, this is the place to go! 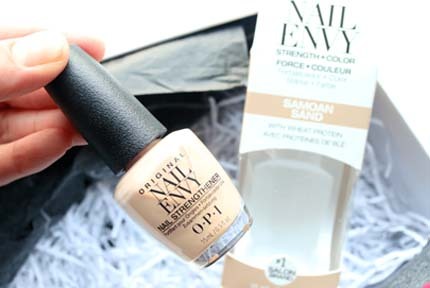 If you still haven’t settled on one of the best natural nail polishes for you, that’s okay! That’s why we’ve gone ahead and created this buying guide to make sure you’re selecting exactly what you need. First, it’s very important that your polish be of a shade you actually want. If could be all-natural, with a hold time of a month without chipping, but if it’s not in a color you like then what’s the point, right? In addition, it shouldn’t just be one you like, but rather one you actually love to wear! Keep in mind that many will not be true to the color it is in its original packaging/bottle, so it’s important to read up on that as many polishes will change shade a bit once dried. As we’re talking about the best natural nail polishes, it’s pretty obvious that we take into consideration what is in our products. Read through the description of each one you have your eye on, as they will likely vary quite a bit. Who wants a nail polish that chips after the first or second day? Not many people. However, there are excellent options that are short-lasting that are appropriate for some. It’s also important to take this into consideration when thinking about how much your product is going to cost you. This will give you a good idea of the price per application. This directly ties in with the last point, and it’s important to not only keep the final price in mind. Of course, you probably won’t want to purchase something out of your own personal budget, but if it’s in the realm of a few dollar difference, than many times, the more expensive product can be worth it, as it will last you much longer and ultimately, cost you less money. We all know how difficult or annoying it can be to remove some nail polishes. Many of us don’t want to use acetone, as the product isn’t exactly the best for us. You could of course, go with an all natural nail polish remover, but it’s always nice that the product is removed easily. 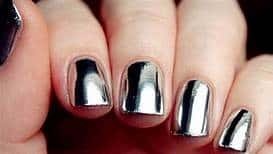 Some seem to cling onto the nail at all costs, while others, once touched with a nail polish remover, disappear rapidly, giving you more time to apply a new coat or two and giving you a fresh look in a short amount of time. 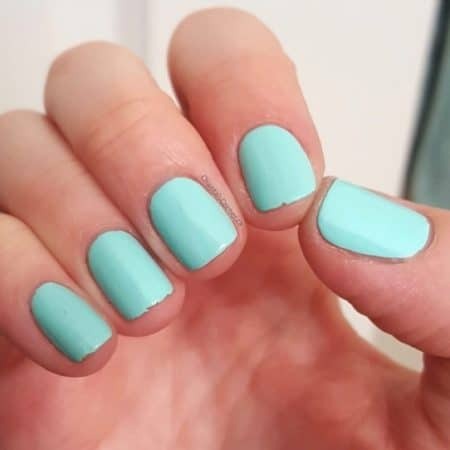 While we undoubtedly enjoyed all of the best natural nail polishes on here, there was one which stood out more than others to us. 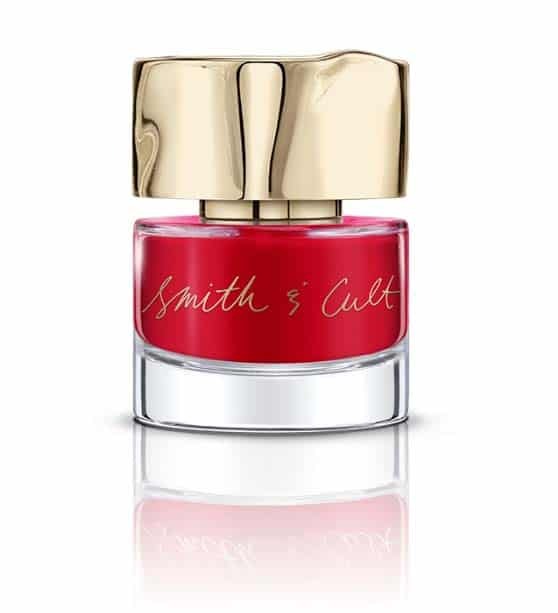 This time, it was the Smith and Cult Nail Polish. The polish impressed us so much, that we want to purchase the entire set! As they’re so long-lasting, though, we’re still trying to get through the first couple of bottles. They have an extremely long wear time, and even after a solid week, we still didn’t see any real, notable chipping. In addition, the formula itself is 5-free, which is not only great for those with chemical sensitivities but in general, just great for any user. It’s free of many potentially-harmful products, and who doesn’t love using a product better for themselves and for the planet? Of course, our personal favorite may not be yours! There are plenty to choose from, and endless colors, shades, and finishes to match any mood, look, or outfit you’re matching! So, which one of these best natural nail polishes will be making their way into your polish bag?